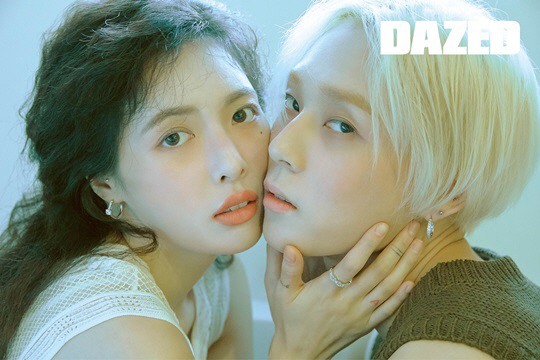 HyunA and E’Dawn have put on full display their love for each other in a recent photo shoot with the fashion magazine Dazed. The two cut stylish figures as they posed for the camera at a house on the outskirts of Paris, France. Looking loved-up, the singer couple had their cheeks against each other’s. Both appearing to be wearing makeup, the two put on a united front as they opted for similar yet different styles in terms of accessories and clothes, bringing the definition of a “couple look” to the next level. 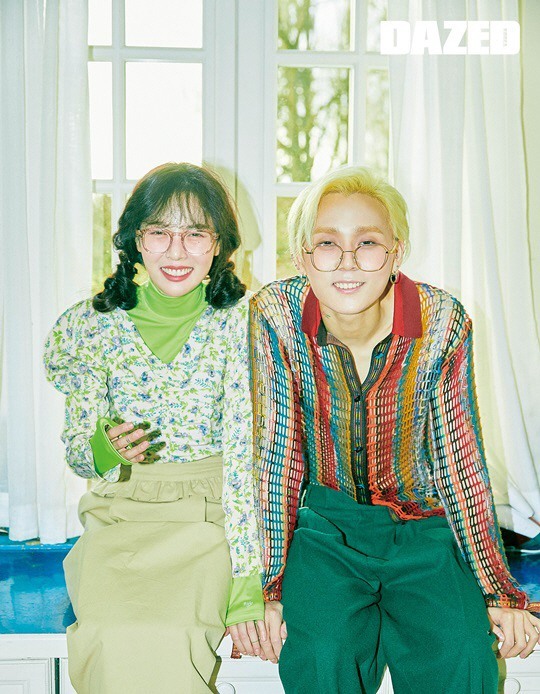 In one photo, HyunA sat on E’Dawn’s lap, gently placing her arms around his shoulder. Both sported black boots. In another picture, the two went retro chic in bold tops and oversized glasses. The photos with the magazine were released soon after HyunA posted a series of photos of her and her boyfriend on Instagram. The photos are from the January edition of Dazed Korea.